Memoria Futura: Kulturelles Erbe und Informationstechnologie: eine neue Perspektive? Not too long ago, Heinz von Förster, whose name is associated more with second-order cybernetics than with art, stated: “Die Ursache liegt in der Zukunft.” Even today, the meaning of this statement escapes the understanding of the majority of scholars. It can best be translated into English as “The cause lies in the future.” With the subject of anticipation, this provocative statement begins to make sense. Indeed, what drives the artist is the future, more exactly the work to be. As opposed to deterministic models, which tell us how everything can be reduced to cause-and-effect, anticipation turns the arrow of time around. For artists, this reversal of the time arrow should pose no problem. Memoria Futura is an interesting statement of the same idea. To what extent technology, and in particular networking, facilitates new forms of creativity, all driven by the anticipatory power of art, is probably the most important issue of an aesthetic renaissance. But if artists allow the technology to drive them, they will continue to very efficiently produce more mediocrity. Alternatively, artists could take advantage of new means of statement, forms of interaction, and especially the power of networking in order to allow for aesthetic experiences never before possible. Let me explain what all this means. Seduced by the deterministic model of science that describes physical phenomena as a cause-and-effect sequence, artists were quite taken by the possibilities opened through scientific discovery and technological progress. This attitude, best expressed by Leonardo da Vinci’s work, is as characteristic of art today as it was in the Renaissance. The spirit of Newtonian mechanics and of the Cartesian view of the universe permeated the artistic experiences of the time and all successive stages of artistic development since then. Indeed, art revealed the implicit aesthetics of the Newtonian universe and took to heart the naive, but convincing images that Descartes produced in order to explain the mechanisms of sensation (believed to be the pre-requisite of art perception). While doing so, artists and all those involved in the discourse on art enthusiastically abandoned the views of Aristotle as expressed in the model of the causation, especially what he called the causa finalis. Aristotle distinguished among four categories of causation: material cause, formal cause, efficient cause, and final cause. In contemporary jargon, they correspond to different kinds of information. If we apply these categories to a house, it is evident that materials – cement, brick, wood, nails, etc. – pertain to the material cause. Builders (think about the many types of workers involved in excavating, mixing and pouring concrete, bricklaying, etc.) make the efficient cause clear through their work, while the plans they go by (blueprints and various regulations) represent the formal cause. The final cause is clear and simple: Someone needs or wants to live in such an edifice. Now take a work of art. Materials, the work of an author, and the various sketches are well defined. But who needed or wanted the work? In some cases, there is one person who acted as commissioner. In the majority of cases, the action (make the art work) is driven by the artist dedicated to expressing himself or herself, to ascertaining a view or perspective, to unveiling an aspect of reality unknown to others or perceived in a non-artistic way. The final cause is the work itself, as it justifies itself to itself within a culture and within a social context. The pragmatics of art is the answer to the “Why?” of a work of art, not to the “How?” (which pertains to its efficient cause). To react or to be proactive? This is not the place to rewrite the history of ideas and even less to dwell upon the meaning of the necessary choice made in the name of what became known as modern rationality. But this is the appropriate place to explain that once the physical became the focus of science, and everything else was reduced to a physical reality, a very precise development, leading eventually to the Industrial Revolution became necessary. A great amount of detail pertinent to this development gets lost as we describe the process from a historic perspective itself influenced by this view. Indeed, the historic sequence leading to the world of today was almost always generated from explanations that are themselves impregnated by the deterministic spirit mentioned above. Take any of the descriptions of humankind’s history – Plato’s, Spengler’s, Hegel’s, the Marxian, Popper’s, etc. – and you will see the evidence of an obsession with cause-and-effect (that is, action-reaction) that levels everything not fitting the scheme. In the vocabulary of those theories, there is no place for a proactive attitude. Accordingly, the history of art and of aesthetics itself are modified to fit this line of reasoning. Successive artistic developments and discontinuities are all explained, not unlike the physical world, as resulting from conflicts in which the old – traditions, values, expectations – determines the new. The cause is in the past, not unlike the cause-effect sequence of science. Innovation appears in reaction to something and not as a proactive opening. Again, this is not the appropriate occasion for detailing this twist in human perspective. But it is an opportunity for questioning the premise, since the object of our interest – art emerging in a context of extraordinary scientific and technological innovation – experiences its crisis before reaching its climax. Indeed, even the most enthusiastic proponents of the digital experience of art cannot avoid an elementary realization: Possibilities seem infinite, while results are rarely above what the French call le passable, i.e., barely acceptable. Some might read harsh criticism into these elaborations and will wonder why a person who contributed to the invention of computer graphics and multimedia since the late sixties is not more dedicated to what he, among many others of higher reputation, pioneered. I have stated for a long time that, under the circumstances afforded by computers as we know them, if you saw one digitally generated image you saw them all. What I mean by this is less damning than obvious. Everything looks like plastic, the best and the worst are separated not by a distinct aesthetics, but rather by the chip and program performance in handling more millions of polygons and providing higher levels of rendering (regardless of the mechanism used: ray tracing, radiosity, particle systems, etc.). The performance is amazing. Hollywood, taking advantage of the investments made by the defense establishment, transformed this performance into the new money-making machine of incredible special effects. After all is said and done, there is no radical difference between what a child can accomplish on a rather cheap desktop computer and what hundreds of art-educated operators achieve on millions of dollars worth of equipment. The world generated is artificial, and this artificiality ends up as a characteristic in itself. No matter what is rendered – trees, flowers, human fates, you name it – they all look like they are made out of the same synthetic material. On the Web, on an exponentially increasing number of sites, the same characteristic dominates. Digital technology defines a new world of rich but stereotype interactions, of procedures all reducible to technical enchantment – the HOW? factor – but never geared towards the fundamental question of any art: WHY? Let it be stated very clearly, however, that the situation is better in respect to text, i.e., the desktop metaphor of word processing. Type fares rather well in this world, and many developments in electronic publishing are based on the fact that Gutenberg’s genius continues to unfold beyond anyone’s expectations. What is not organic in nature – in this case the movable type – is less affected by the physical constraints of the medium. This is also why digital photography fares rather well in the image processing journey, as does sound, freed from the many constraints that in the past affected composers and interpreters in their attempt to create rich sound environments. My book, The Civilization of Illiteracy, explains much better the process that made this situation possible: the transition of the industrial machine-based civilization to one whose underlying pragmatic structure is the digital. What the book does not explicitly address is the dimension of anticipation that characterizes the living. As opposed to the physical world of action-reaction, the world of the living unfolds in ways in which the deterministic sequence is intertwined with a non-deterministic, anticipatory, proactive sequence. We can see what is not yet visible. We can hear what is not yet audible. The living, as a system endowed with metabolism and self-repair function (to quote the late Robert Rosen, himself interested in anticipation from the perspective of biology), is a realm of many instances in which the proactive component – anticipation – plays the dominant role. The future drives the present in such instances, and not the other way around, as in the physical world, where the past drives the present. The movement of two bodies in space can be described through equations – used successfully in space research programs and in visualizations. The time arrow points from the past to the future. But in the realm of the living, things can take a different path. Before I move my hand, my mind is anticipating (by 800 nanoseconds) this movement. Before a painting, or a sculpture, or a musical composition becomes what it will be, hundreds and thousands of them are anticipated in the mind. And only one of these possible paintings or sculptures or musical pieces become real, if indeed one does. The arrow of time pointing from the future to the present corresponds to cognitive characteristics that are not reducible to those physical laws pertinent to physics. Here I can only point to another book of mine, Mind – Anticipation and Chaos, in order to provide inquisitive minds interested in what I am saying with the details I suspect they expect from me. But I am not on a promotion tour: Read my books and the crisis I describe will dissipate. Rather, I submit to you that in our Memoria Futura – a beautiful metaphor for what I describe here as anticipation – we will sooner or later understand that this infantile age of computation could not fare better in the realm of art than it has. The artworks produced so far are examples of inherent limitations, as they are also very important testimony to the computational knowledge of art that we have reached so far. As a matter of fact, each new software supporting artistic endeavor is nothing more than an statement of our knowledge regarding art: color, shape, contrast, volume, motion, facial expression, etc. This knowledge is limited by the gnoseological premise and encodes our understanding of the physics of art. If we agree that determinism, i.e., cause-and-effect, can describe art, at least as a physical process, this description cannot extend outside this inherent premise. If, on the other hand, we agree that art pertains to the living, and that the living is more than physics (although always also physics, chemistry, biology, etc. ), then the next question is whether new forms of computation will be better adapted to artistic/aesthetic purposes. I expect that after this infantile age of computation, alternatives to the Turing Machine will evolve. My own suggestion, in 1991, was for variable configurations – an idea that today even leads to patents (which I could challenge since my book documents the idea well ahead of any patent attempt in this domain) – and to a need for more venture capital. The complexity of the art experience requires levels and forms of computation that science and technology in their current stage cannot accommodate. My deep conviction is that art is anticipatory even regarding these expectations! Computers are quite successful in describing the physical world. In the description of the living, things are more difficult. One hope I have is that anticipatory computing, in which I am involved, will allow for more successful artistic and aesthetic experiences. It is too early to report on what this means. I prefer to finish this first part of my elaborations by saying that anticipatory computing will redefine the problems of art and computers: not problems of the “How?” (more programs to learn for achieving some obscure goals), but rather of the “Why?” Entailment, as a characteristic of the aesthetic experience, must be freed from the constraints of chip speed, band-width, and I/O performance. Entailment here refers to what is needed in order to generate the artifacts that correspond to what is known as art; what is needed to trigger aesthetic processes. The living has to return to the artistic experience, involving science and technology in forms transcending the physical, not in order to rehash what is already familiar to us as art, rather to articulate new questions, define new goals, suggest new values. Having mentioned some of these goals and a basic program of research and creativity, I want now to return to the reality in which my own experiences take place. The two are related, and I hope that my examples and short comments will make this clear. Computational design is a discipline dedicated to conceiving a world that integrates digital technology. It addresses aesthetic issues from a proactive perspective. That is, instead of taking the latest technological innovation or most recent software and trying to use it to create artifacts based on artistic expectations of the past, we take into consideration the characteristics of artistic experience and try to involve the artist in new forms of interaction. The entire area of virtuality, artificial life (ALife), and local and distributed interaction belongs to our atlas of inquiry. Instead of commercial communities, we aim to establish dynamic communities of aesthetic resources implicit in scientific and technological research. That in the process, and parallel to nanotechnology, we shall experience nano-aesthetics, and that parallel to the exploration of the universe, we shall experience forms of art of a cosmic scale, is an anticipation for which we are preparing ourselves. Allow me to explain and to illustrate these statements, and let me illustrate them (statically for those limited to paper, dynamically for those linking to the networked community.). Computational Design corresponds to the age of a new form of scientific statement. As sciences become computational, their means of expression and communication become computational as well. Design has a different status. More precisely, in design we express plans, goals, values. Design is by its nature proactive. The future house, the future appliance, the future message, etc., are projections from a time when they will be a reality to the time when we conceive of them. The underlying aesthetics, expressed in our sense of rhythm, color, contrast, shape, sequence, movement, etc., becomes part of the design to the extent that it opens possibilities. Possibilities are anticipations. This why in Computational Design we avoid the action-reaction attitude that divides the world into software programmers and users. We do not believe that art can result from a user condition. Moreover, we challenge the notion that art is algorithmic, and focus instead on the interactive model of computation. Technicalities can be provided but I prefer to stick to the “story”: My first attempt to work in this direction goes back to 1985-1986. I wanted to capture, in keyboard strokes, the sequence of commands that an artist (on the list were Frank Stella, Wunderlich, Christo, Levin – not all participated equally) will issue in trying to produce an artwork involving computers. The expectation was clear: there is “something” that drives aesthetic processes from the future (the work to be, in the style of a certain artist) to the present (the making, the process). Today, we can proceed with aesthetic experiments in virtual reality environments (modules can be used for producing alternatives, various media can be used to complement each other, etc. ), or in designing Alife agents endowed with basic aesthetic notions. This is a very difficult order to fill; the best I can do is to report on an anticipatory scheme in which aesthetic decisions are simulated by letting competing models evolve and eventually settle their conflicts. More close to earth, we are attracted by new aesthetic experiences corresponding to remote interaction and cooperative work. Let’s take the project One World, One Line, which at first glance appears as almost trivial: continue drawing a line around the globe (www.dup_sp.ce.yp/oneline1). The technology (a Java-applet, after all!) is rather straightforward. Nothing new to learn. What is new here is the opening of the experience: Many individual, artist or not, were involved in drawing the line, doing so as an expression of personality, becoming part of the record in the process. I am giving this example because in spirit it reflects part of the aesthetic concept of computational design. Along the same line is the example from www.pixeltime.com. Moreover, in the cooperative-collaborative realm, one can identify many Websites where the expectation to transcend the authorship model of action-reaction aesthetics is obvious. To create under the expectation that many others will eventually continue the work changes the notion of locality, originality, authorship, and copyright. We are also interested in the emerging aesthetics of new domains of human investigation. When the physicist Richard Feynman claimed that there is a lot of room there, at the nanolevel of matter, I am sure he did not limit himself to geometry and physics but also had in mind meta-physical-aesthetics, philosophy, logic, etc. At that level, we start seeing functions of self-repair, or self-growth. And I am intrigued by what that might mean for art. No, this is not the science fiction of a Gioconda in self-repair mode, or of an impressionist sunset in self-growth. Rather, the idea of works of art not disconnected from the living, and actually exciting because they are part of the living (if you want, like the gardens of a day-and-age when artists conceived them, or like in Gaudi’s extraordinary architectural creatures connected through those sycamore trees that makes them feel alive!). An image from the nano-realm, in order to be seen without a microscope, has to be enlarged by many orders of magnitude. At the opposite end of the spectrum, our extra-terrestrial project (MINALE) – for which we hope to attract the interest of NASA, DASA, or any ASA with aesthetic interests surpassing those of spy satellites. The element of scale is fundamental in both the name and the cosmic level. Art depends on scale – this much we realize. But except for the experiments of environmental artists, we have very little knowledge of how this dependence affects the perception and interpretation of art. Our cosmic scale project had to be scaled down for this reprint. The fact that satellite-based TV and the Internet are being used to make the Memoria Futura conference an event transcending the walls of a castle around which a community of scientists research new technologies is an argument I gladly add to those emanating from our practical experiences in computational design. Let me assure all our friends and collaborators taking part in the event: The best is yet to come. 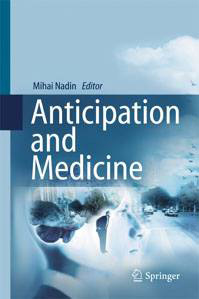 Anticipation is the new frontier of science (take my word for it! ).